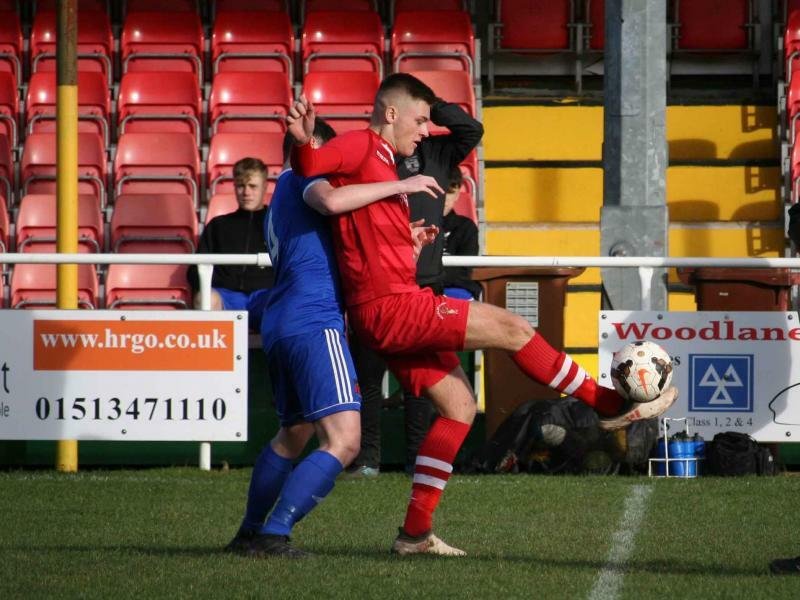 Posts related to the games played within the WNL Reserves Division competition. 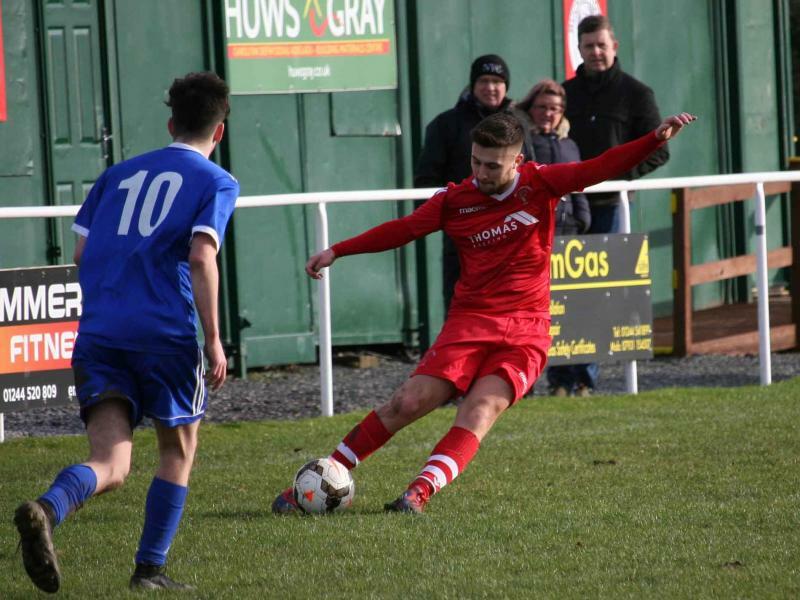 A closer game than the score would suggest as Buckley Town had much of the play but let themselves down by giving the first two goals away to Ruthin Town which made it very difficult to recover from. 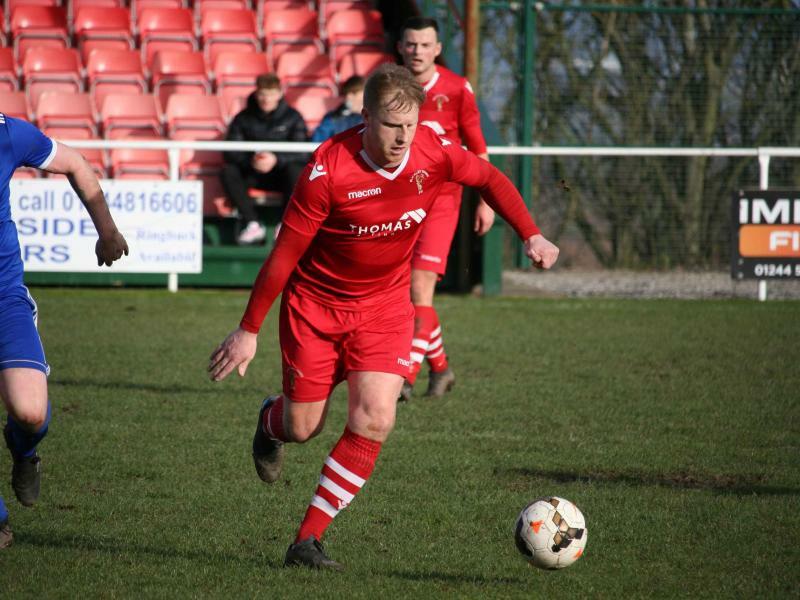 The first goal came when Tom Watkin-Jones caught Buckley Town keeper Tom Douglas with the ball at his feet and stole it for an easy tap in. 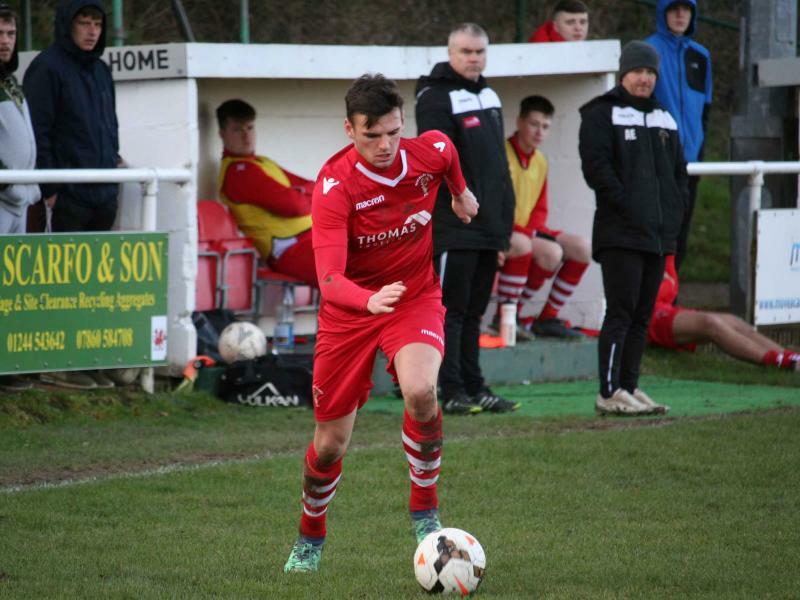 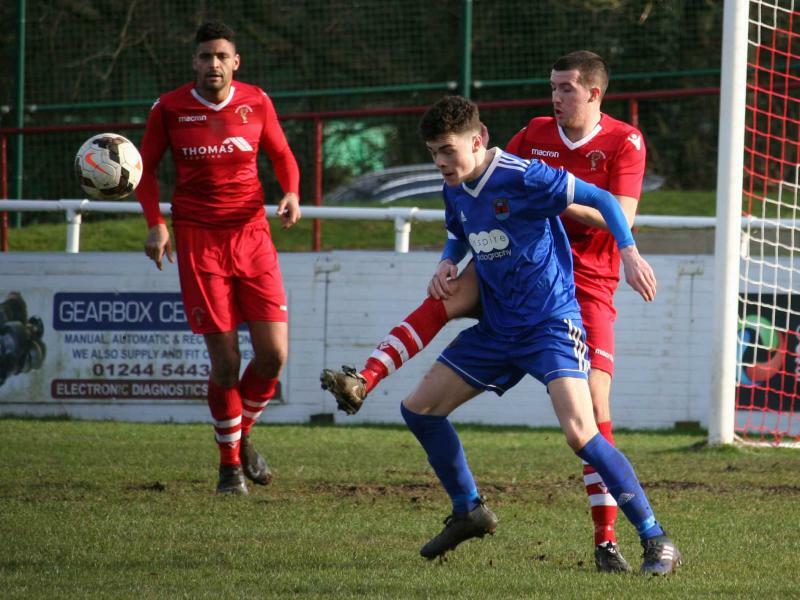 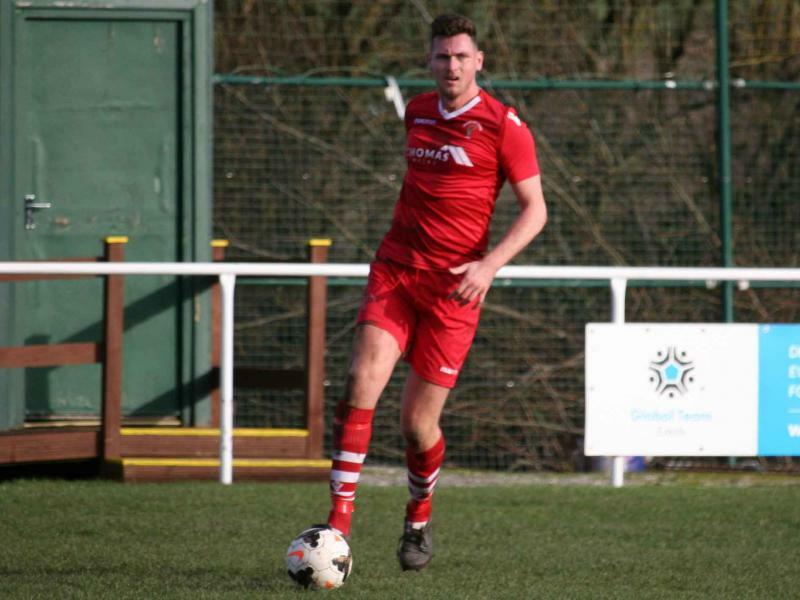 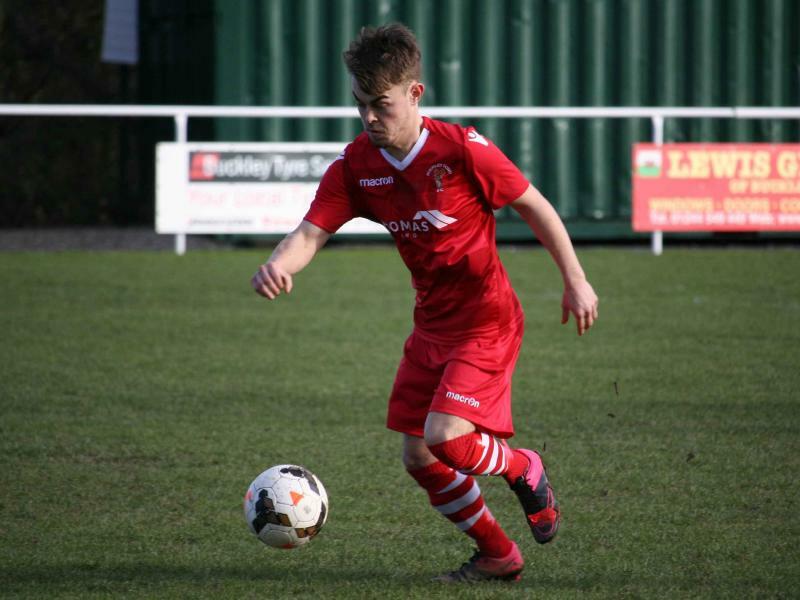 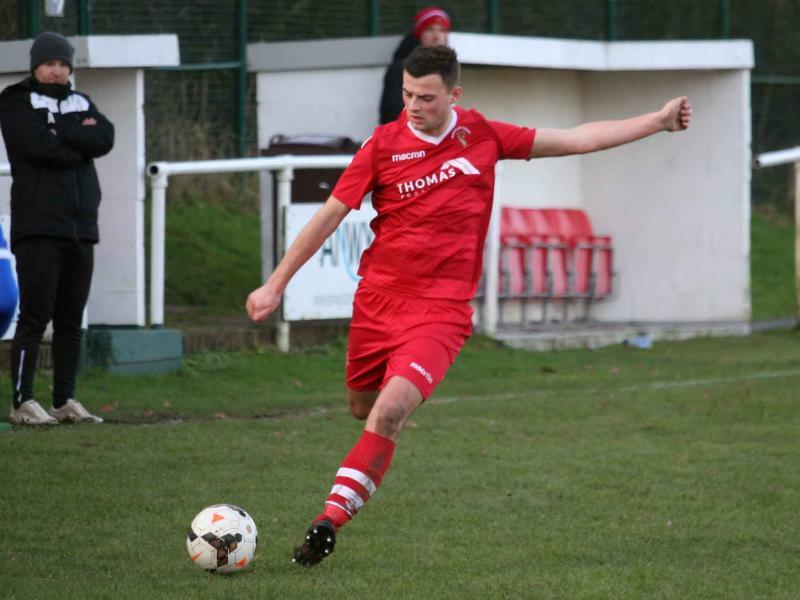 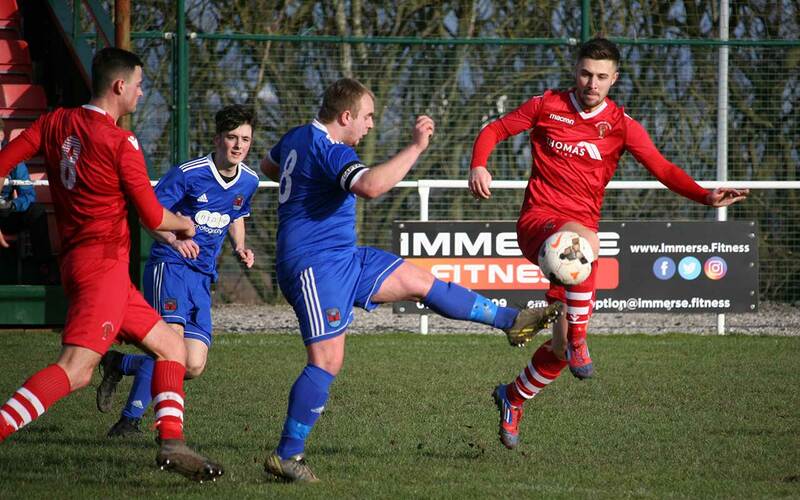 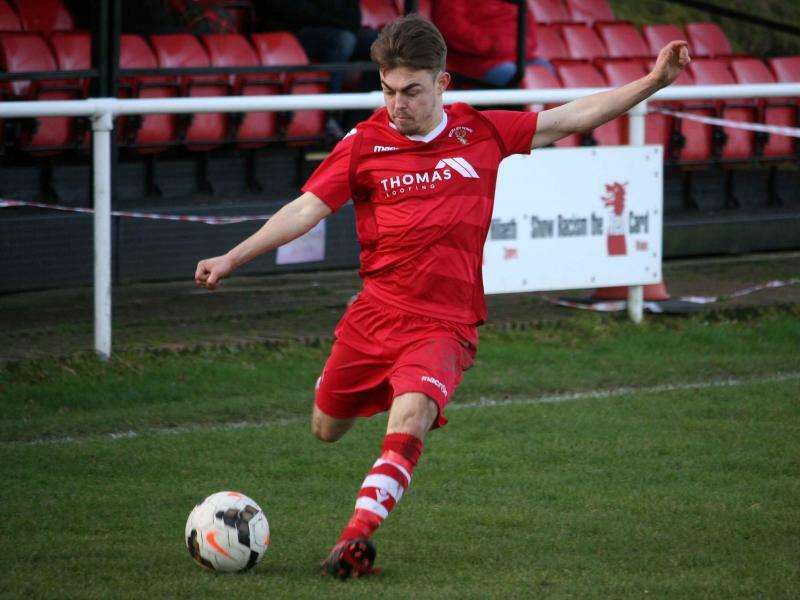 Buckley’s best chance of the game came when club manager Dan Moore fired in a shot from 20 yards that clipped a Ruthin defender sending the ball into a looping arch and hitting the bar. 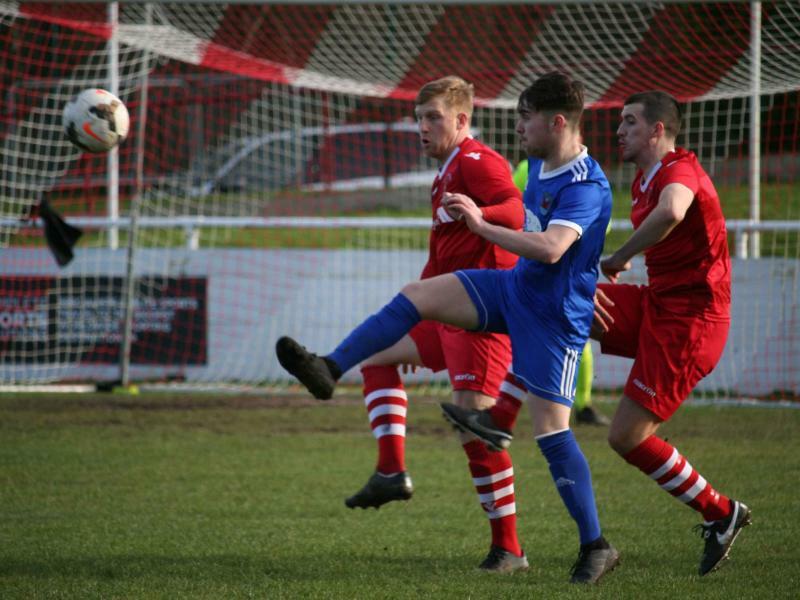 In his attempt to get to the ball, the Ruthin’s keeper rapped himself around the post and needed treatment having hurt his ribs. 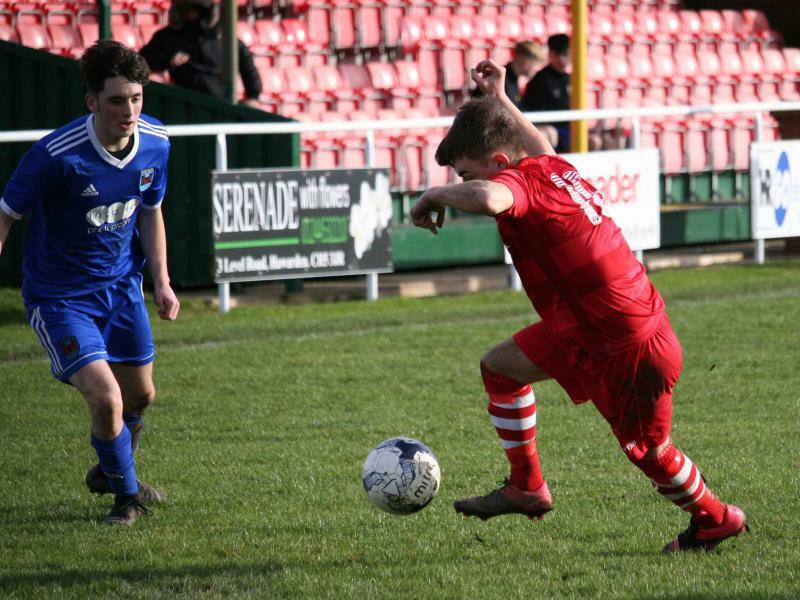 He bravely soldiered on. 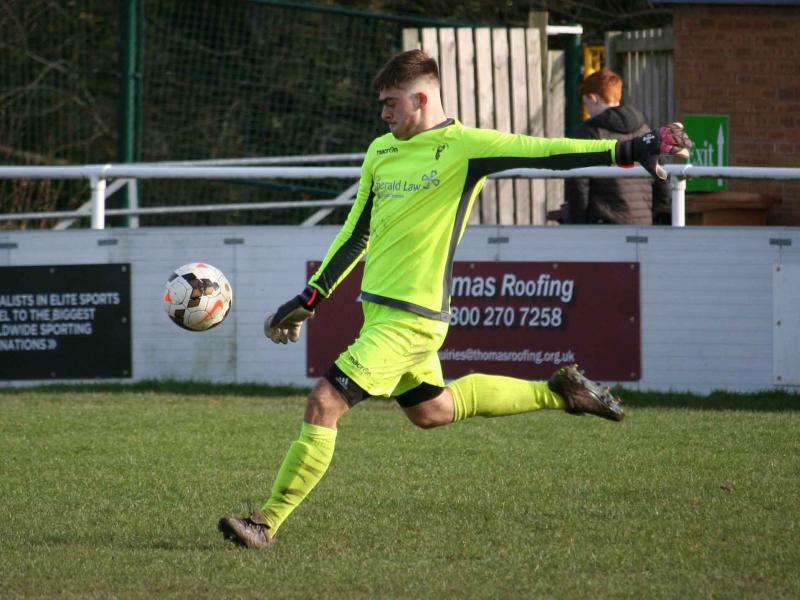 The disappointment from a Buckley perspective was that no one managed test the keeper from that point on during the game. 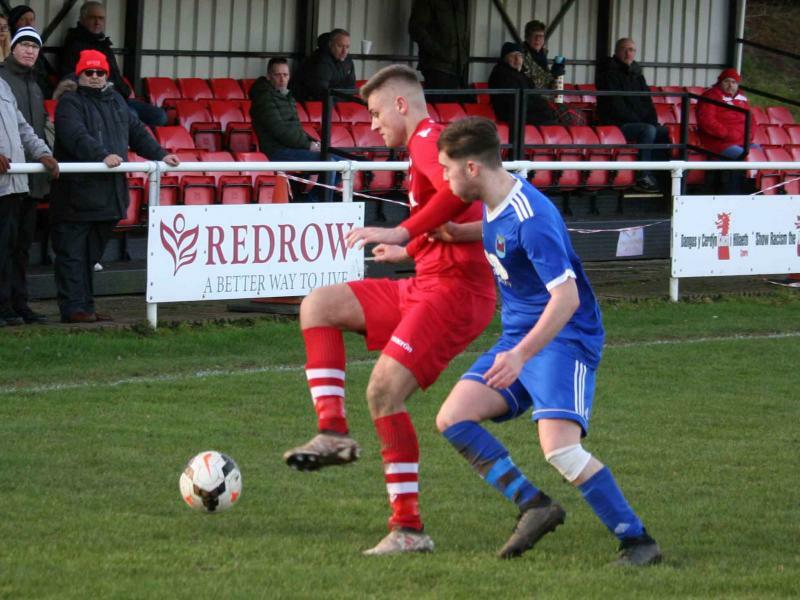 Ruthin’s second was from Buckley Town’s inability to clear their lines and having someone simply taking charge to clear the ball away from danger. 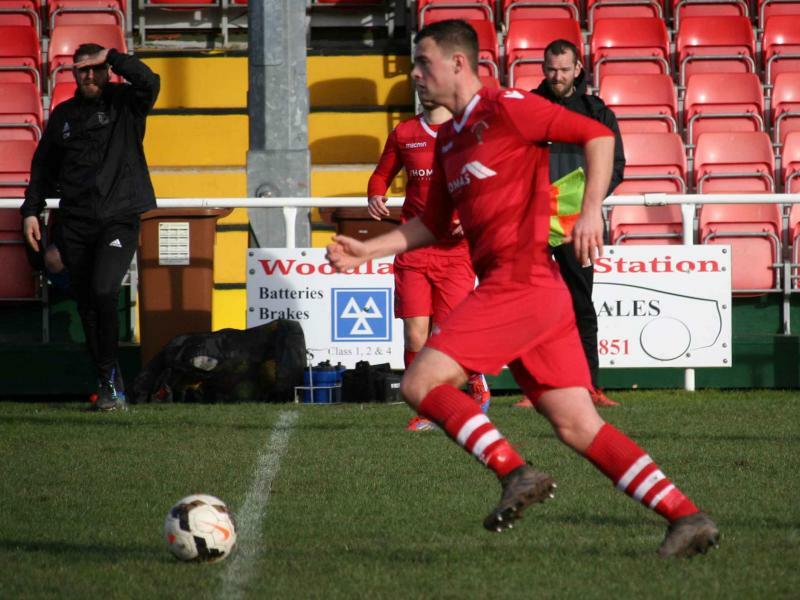 Again Tom Watkin-Jones was the beneficiary and he fired the ball home. 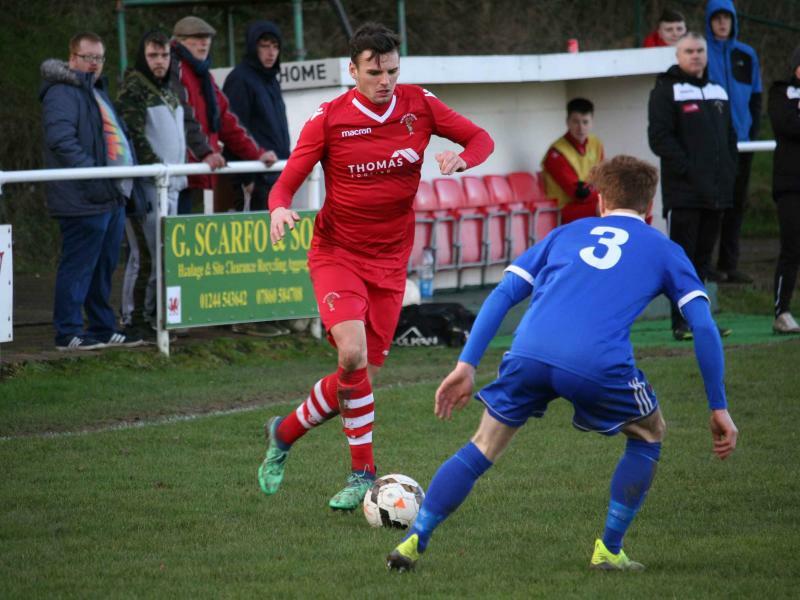 The third for Ruthin was scored with a well taken header from a right wing cross when Tomm Mann rose highest and directed the ball back into the opposite corner. 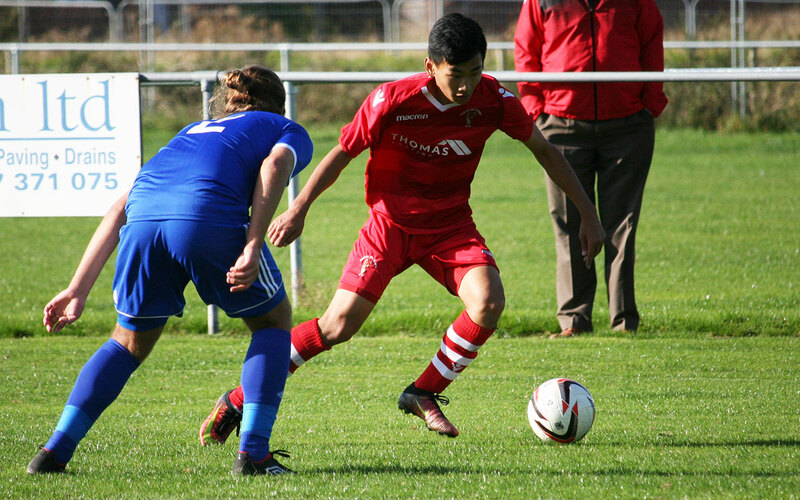 Positives from the game saw Shaun Tinsley back in action after three weeks out due to a calf strain and a lively spell as a second half substitute from new signing Taewoo Kim, who if he continues to perform in that manner will push to be named in the first team squad in the not too distant future. 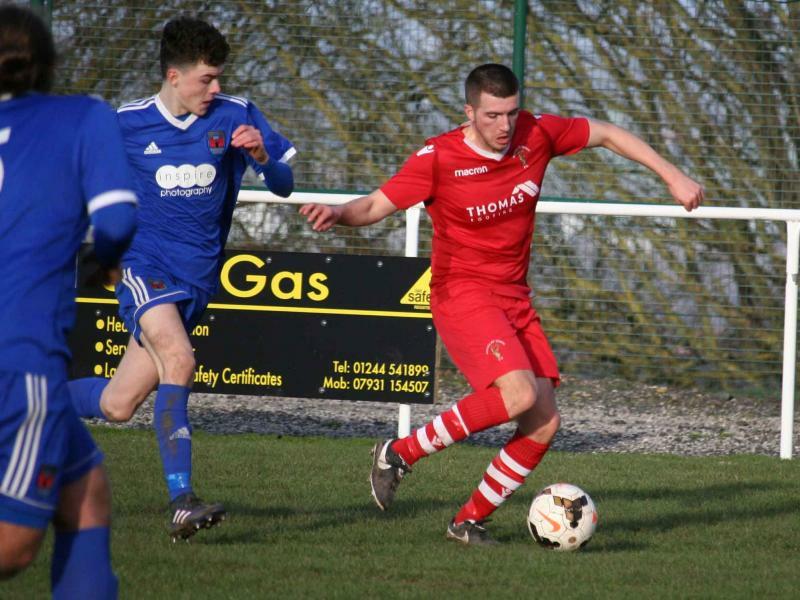 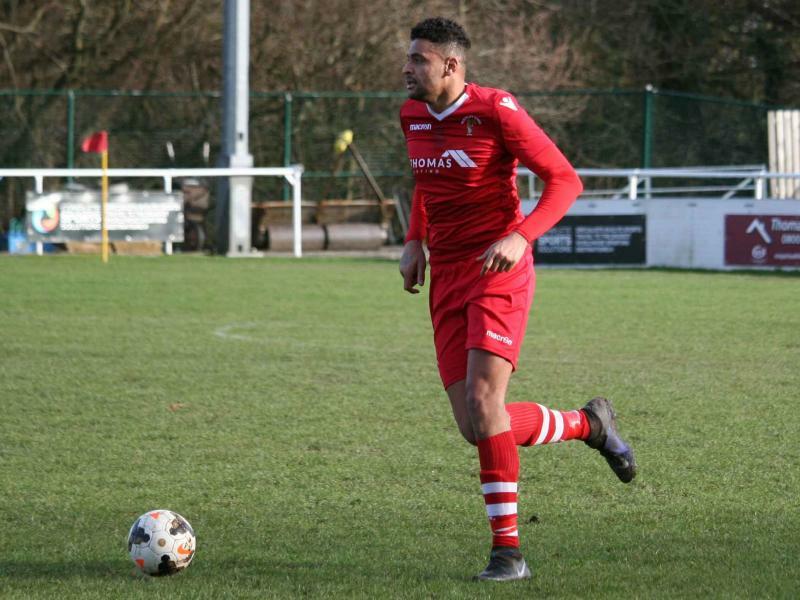 A thoroughly entertaining game was played out by the Reserves sides of Buckley Town and Brickfield Rangers at the Globe with some excellent players on show for both sides. 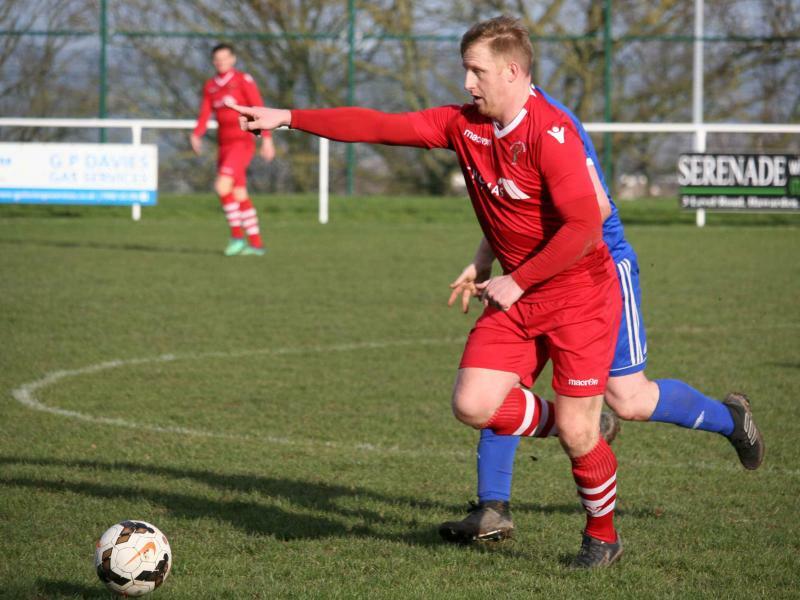 Star of the show for Buckley was Andy Jones who bagged another two goals to add to Saturdays making him the top scorer so far this season. 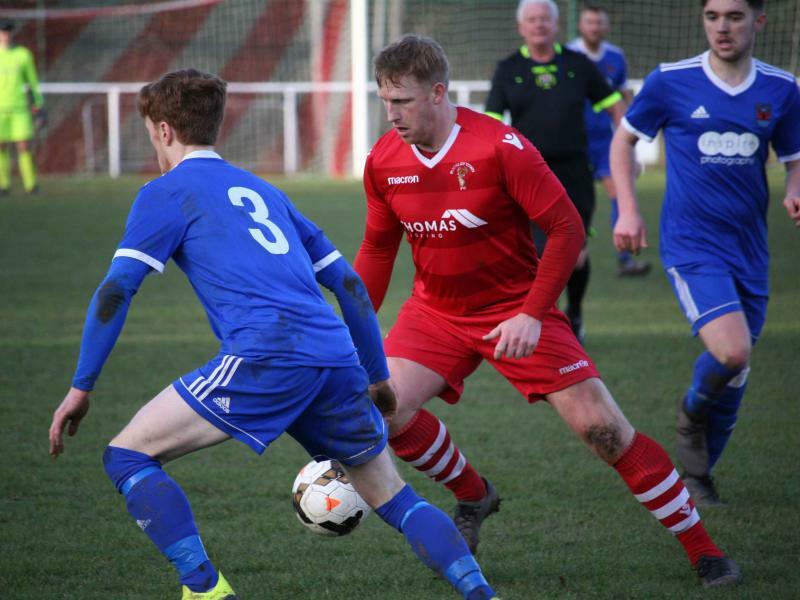 There were also good run outs for Josh Jones working his way back to full sharpness and James Rumsey who together made a good pairing at the centre of Buckley’s midfield. 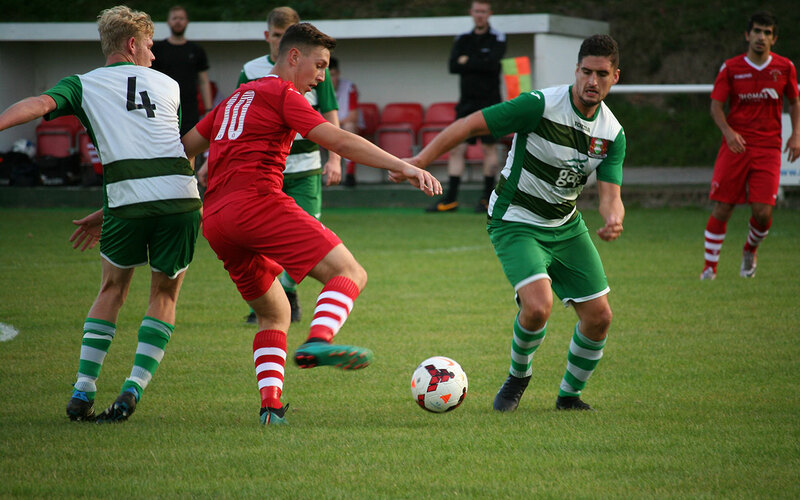 The first half was competitive with both sides giving as good as they got but Brickfield were quicker out of the traps in the second half and went into a 2-0 lead through Matt Wareham on 64 minutes and Phill Carr on 69. 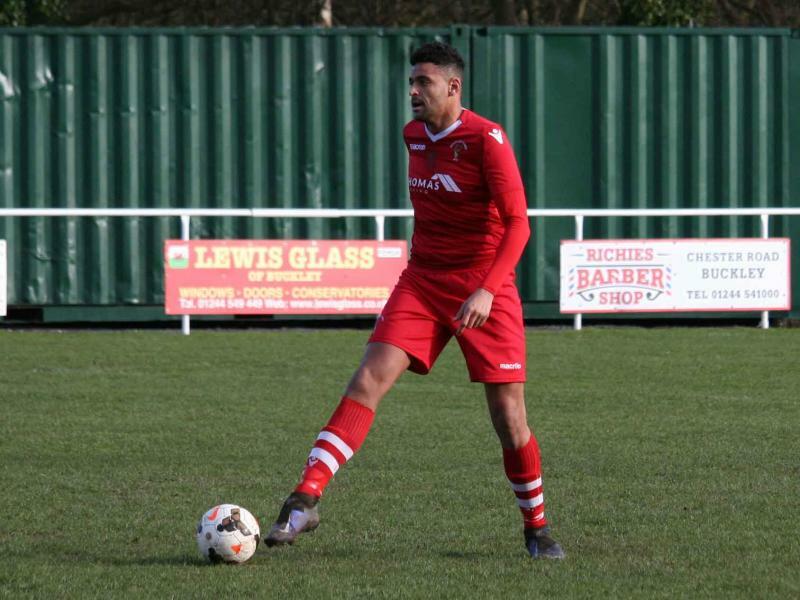 Jones pulled one back for Buckley two minutes later but Zack Price made it three for Brickfield with 12 left. 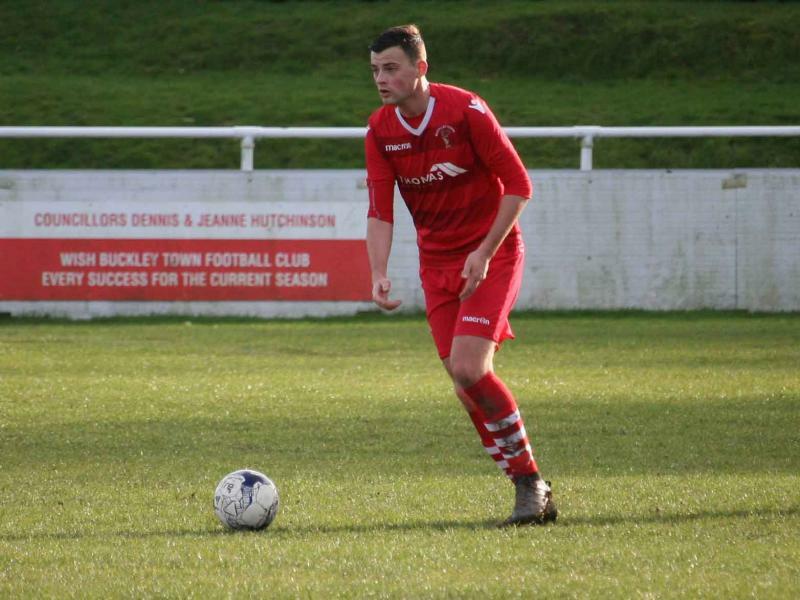 Kam Riding made a second half cameo appearance and the youngster impressed with his neat ball skills and an intelligent pass late on that put Andy Jones in on goal to score his second of the night as Buckley pressed to try and level the game. 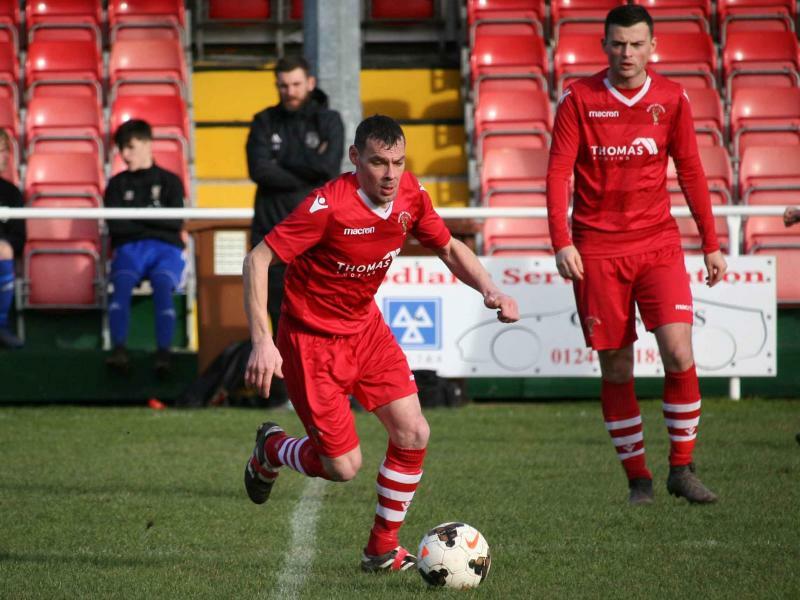 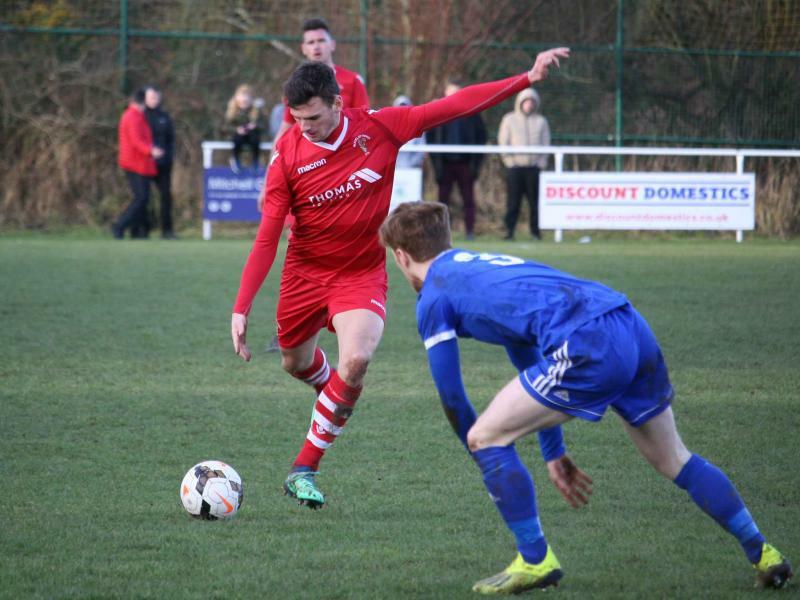 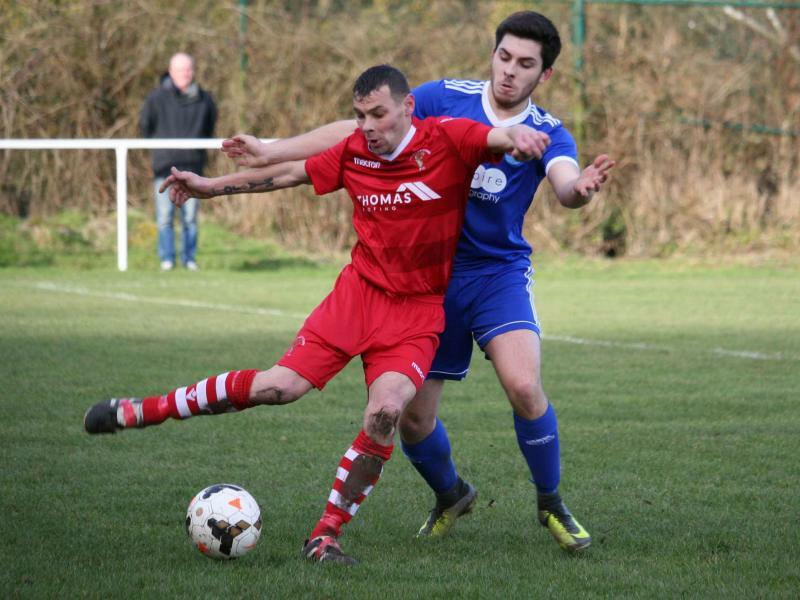 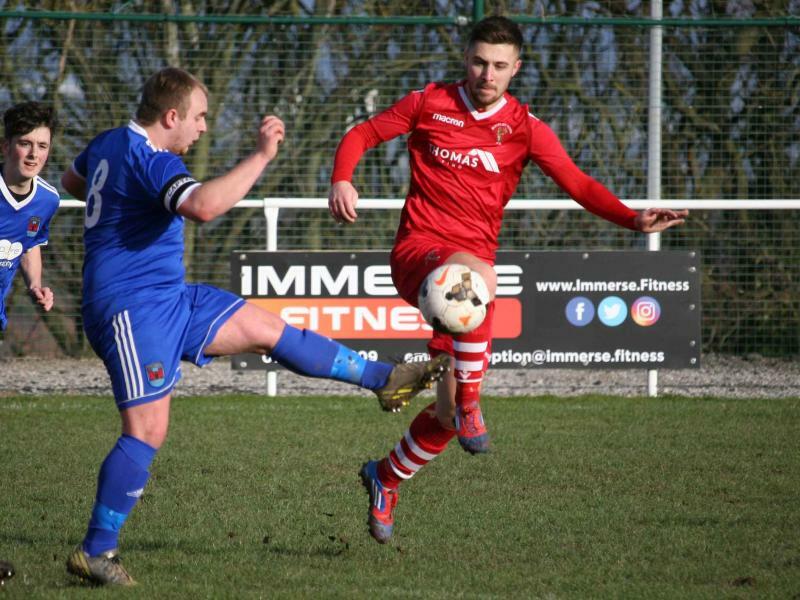 It came too late to secure the draw and Buckley were left to rue the missed chances of the first half that saw their first defeat of this campaign.